Have you been struggling with anger issues? Is your partner, friend or colleague losing their self-control over anger? Are you worried about how you can take control of your life in the long run? Are you interested in learning some of the best ways in which you can express your anger without necessarily hurting yourself or the people around you? First of all, anger is a natural emotion that is even considered healthy. However, when anger is triggered and allowed to spin out of control, then it is no longer healthy. Because, in such cases, these anger emotions tend to cloud our judgment and cause us to make rash decisions that we will not be proud of after. Anger issues strip us of our self-discipline and self-control. Anger management issues can be damaging to relationships and cause harm to the people around us and us. It is not something that you would like to happen. Learning the right way to handle a powerful emotion plays a central role in limiting emotional damage. 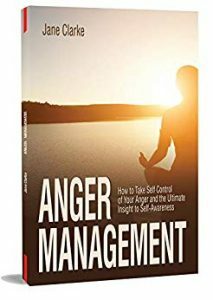 In other words, when it comes to anger management, there are quite some self-help psychology techniques that you can employ to keep your cool. But before you can keep that cool, you have to be self-aware that you have an anger issue that needs to be addressed — the first step through the anger management process. Once you recognized that there is an issue, you have to look out for triggers so that you can find ways to handle your anger more constructively. It is essential that you identify your anger at a very early stage so that you know how to express your needs in a calm and controlled manner. One thing that so many people get it wrong is thinking that managing anger is being able to hold it all in or avoiding these feelings. The truth is, you cannot run away from anger either can you eliminate it just by wishing it away. Being able to take control of anger is a skill that you have to acquire. You have to learn how to actively express and control these feelings over time with a lot of dedication and patience. In this book, we shed light into what anger indeed is, the various signs that you ought to look out for in determining whether you have an anger issue as well as constructive ways in which men and women can gain self-discipline when it comes to matters concerning anger management. You will also take a test to help you determine whether you have an anger management issue. By the time you are through with reading this book, you will be able to effectively and efficiently keep your cool no matter what the situation may be. So, what are you waiting, read on and discover more about how to express and manage anger in a constructive manner. Happy reading!